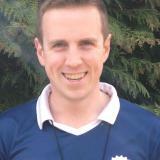 Sport4Kids proudly announce the arrival of Gary Marlow (not Barlow) our new S4K Head of Product Development. Gary truly has a wealth of experience and we are delighted to have someone of his calibre join the S4K Leadership Team. 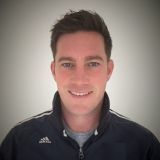 He has been a school PE teacher in both secondary and primary levels, he has built his own sports delivery company, developed and ran schools tennis programs for the LTA, has built outdoor forest school program called “Woods Learning” and has a myriad of qualifications and awards for children’s sports and charity programs. Hello, and welcome to the first issue of the Sports4Kids London publication, detailing our aims to create a brighter future for children of all ages. Please read on to find out more about why we do what we do, and why we are the best in the business to combat the societal problems that our children were forced into. S4K New Head of Franchising! We are pleased to announce the appointment of Bev Regan QFP as our brand-new Head of Franchising as of 1st January 2019. Bev has over 30 years comprehensive experience in all aspects of franchising starting as the flagship franchise for Tumble Tots and going on to become a Qualified Franchise Professional (QFP) with the British Franchise Association (BFA). 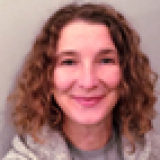 Following 19 years with Tumble Tots as a hugely successful franchisee and Business Area Manager, she has had various roles within Franchising including National Manager UK for The Little Gym International, European Operations Manager at Nevada Bob’s and the development of her own franchise consulting business, “Franchise Mentors”. She has also served the BFA on both the Membership Committee and Recruitment and Retention Committees. S4K Bristol Network Partner Joins! A big warm S4K welcome to our new Network Partner Vijay Majumdar who has acquired the Bristol & North Somerset territories. Covering the City of Bristol, Portishead, Weston-Super-Mare and surrounding areas. Vijay joins us from the exciting world of software development, having headed up customer service and support functions in young, high growth tech companies. He brings an innate passion for first-class service delivery and maximising smiles in general! Most recently Vijay worked for an education-technology start-up helping support the delivery of better Apprenticeship learning systems. Headhunted from a technology subsidiary of Hargreaves Lansdown, the Bristol based FTSE 100 financial services powerhouse, having built a high performing service division for the multi-million profit company. He takes pride in growing strong, trusted relationships with colleagues and clients, and boasts a record of 100% retention of staff and customers in senior management.